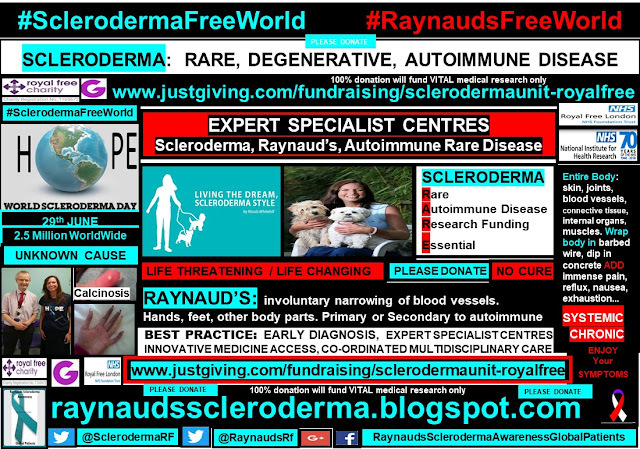 Attendance at an expert specialist center is an essential requirement for the best practice of care and treatment for the scleroderma Raynaud’s patient, and for the rare disease patient, in general. The experience, knowledge and understanding of the specialist medical expert is not only of comfort to the patient, but essential, for an early diagnosis and optimum patient care and implementation of a best care pathway. 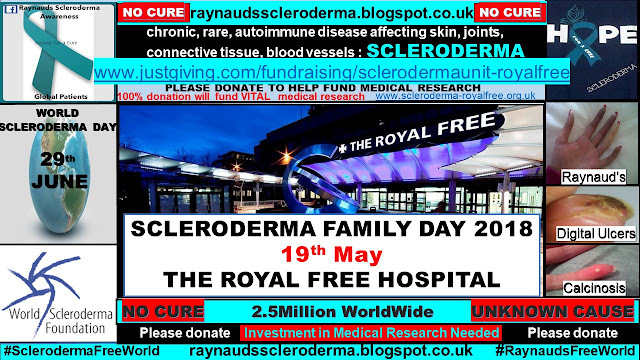 An early diagnosis, is crucial to the scleroderma patient, in the hope that no life threatening irreversible damage presents, and that treatment options still remain a viable option. 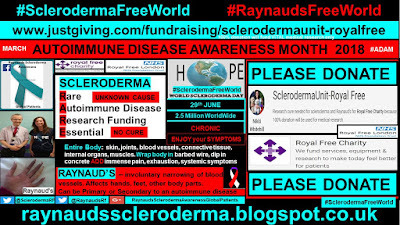 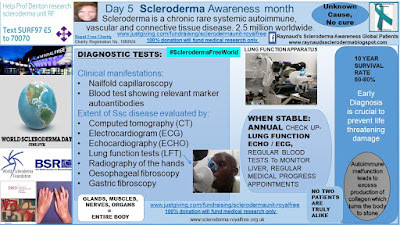 I focussed on the relevant diagnostic tests for scleroderma in Day 5 of my Scleroderma Awareness Month 2016 Campaign. 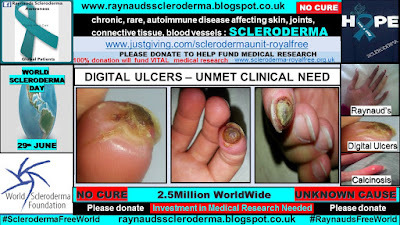 Day 6 focussed on the current ACR / EULAR scleroderma diagnosis guidelines. 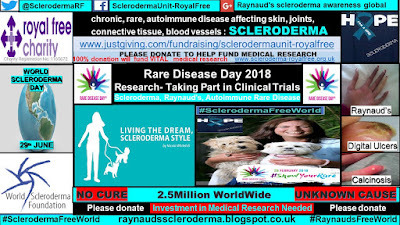 Expert specialist centers offer a number of advantages to improve the rare disease patient experience, ranging from best patient care, to the production of patient registries for research purposes, to develop improved treatments and understanding of the cause. 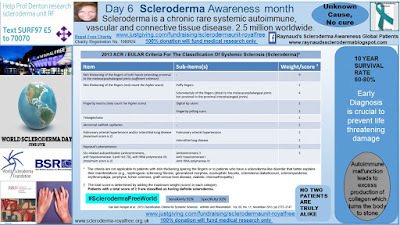 Data collection can show commonalities seen in the patient population, providing an understanding as to disease progression, and a basis for research. 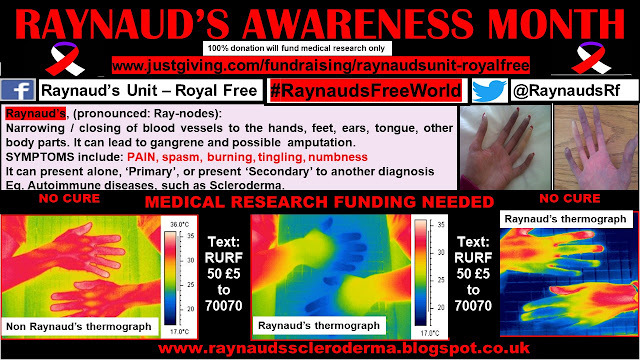 These registries, must, out of necessity to the rare disease patient, be a part of a global research network. 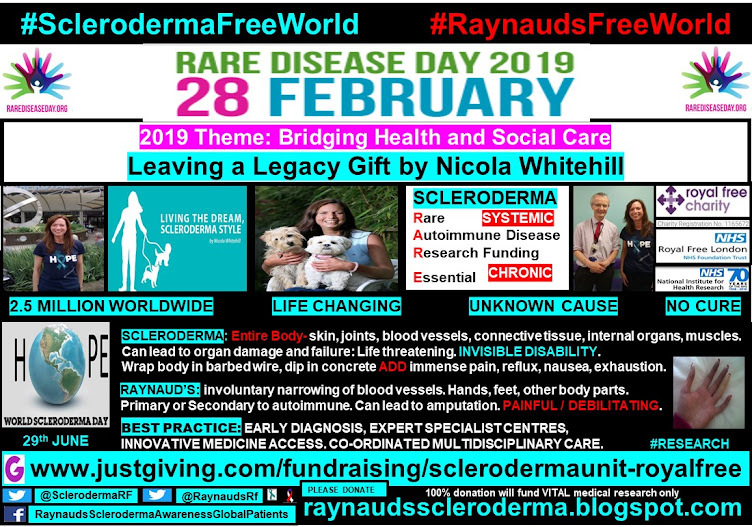 Exchange of best practice globally, is paramount to the rare disease and scleroderma patient, where there is currently no cure, and where there is a large vacuum and medical need, for an improvement in treatments and disease modifying agents. 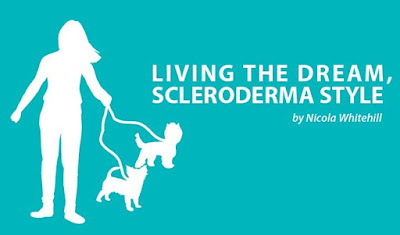 Time is a luxury in the life of a rare disease, and particularly so, in the scleroderma, patient. 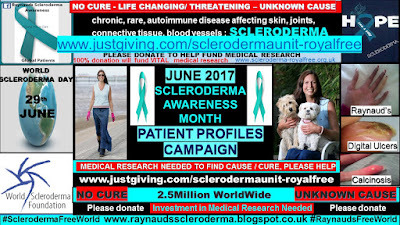 The Journal of Scleroderma and Related Disorders (JSRD) was launched at the 4th Systemic Sclerosis World Congress in Lisbon, 2016, hosted by the World Scleroderma Foundation. 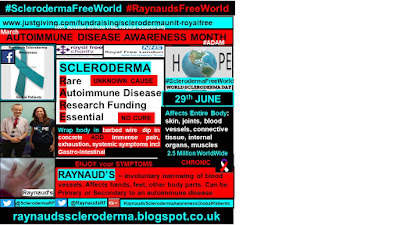 The 5th Systemic Sclerosis World Congress is to take place in Bordeaux, France, February 15-17 2018. 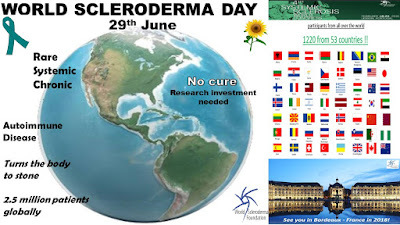 The Journal of Scleroderma and Related Disorders is most welcome to the global scientific scleroderma community, as well as, the scleroderma global patient community, as, its contents demonstrate the global sharing and networking of scleroderma research. 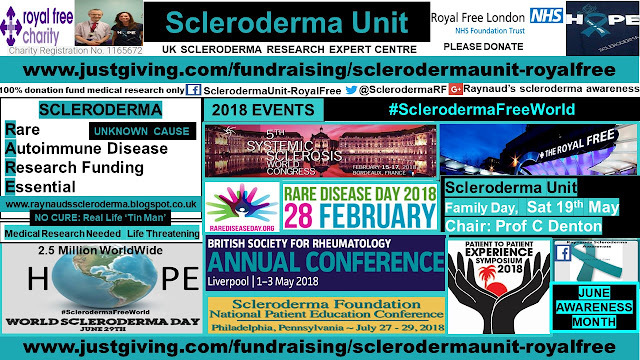 Expert specialist centers also serve as a hub for patients to meet with others who are going through the same, similar experience, even though, no two scleroderma patients present with the exact same set of symptoms. 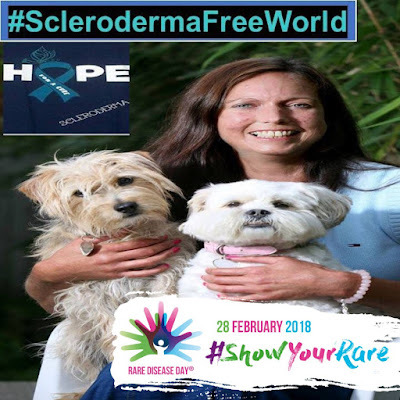 The expert specialist center provides not only the best patient care, but also, an invaluable opportunity to share coping and management techniques, alleviating a little of the isolation experienced by the rare disease, scleroderma patient. 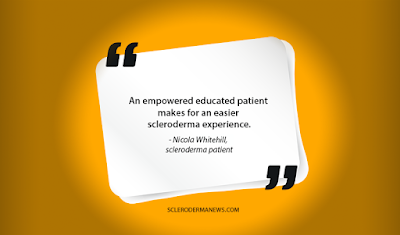 An empowered, educated scleroderma patient, certainly makes for an easier scleroderma experience. 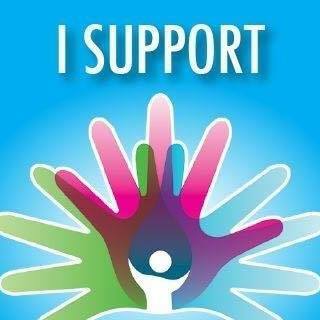 An expert specialist center is at the nucleus of this. 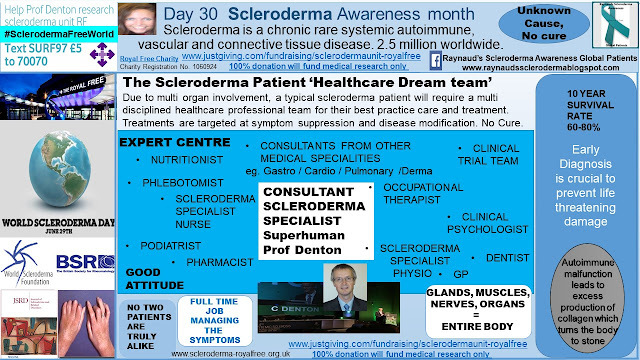 I focussed on the Scleroderma patient Healthcare DreamTeam on Day 30 of Scleroderma Awareness Month 2016 Campaign. 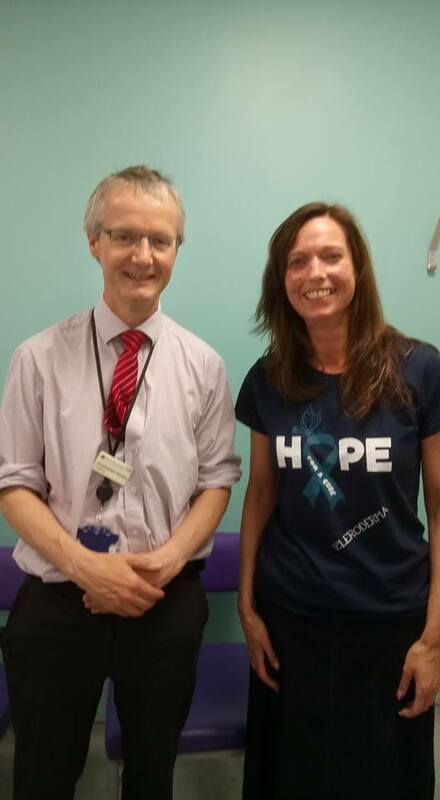 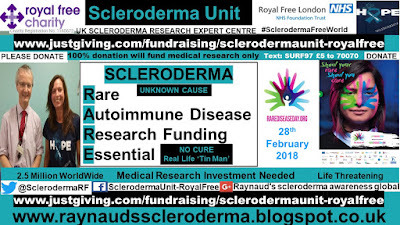 I am eternally grateful to be a patient at the center of expertise, the scleroderma unit at the Royal Free Hospital in London, headed up by Professor Denton. 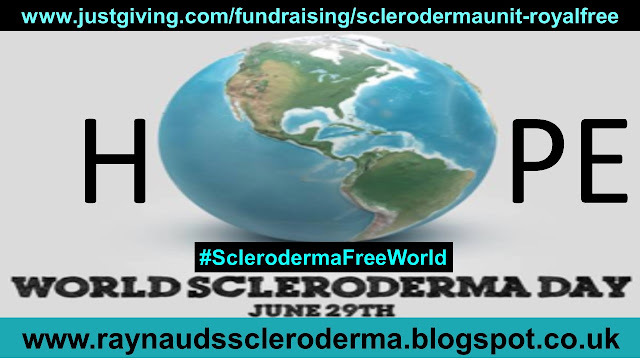 This world class center of expertise, without a doubt, is a global leading light in the scleroderma global research field. 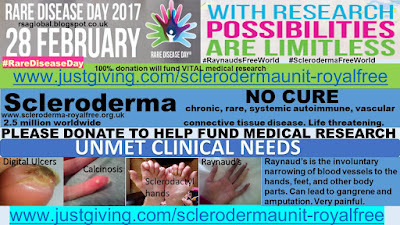 I know that my success of still being around, to have now transformed into being a scleroderma parrot, is attributed to the world class healthcare and treatment which this expert center provides, as well as the superhuman medical expertise of Professor Denton. 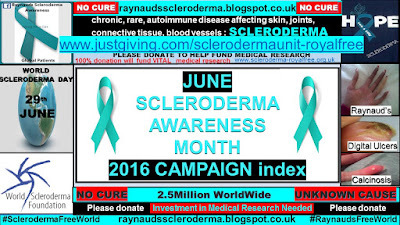 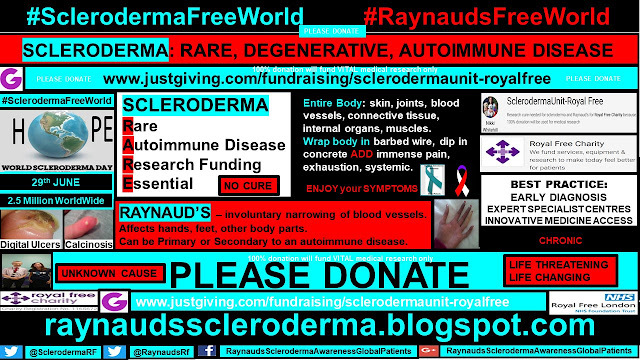 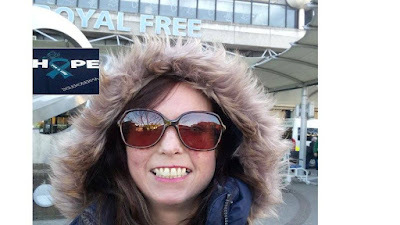 Living the dream, scleroderma style, hoping for a cure….